Winter is the season of holidays, to get away from home and find the true nature. What is nature? Nature is nothing but water, air, sky, agni (fire ), trees and mud ( mati ). When you see any thing from these six, you will get energized, refreshed. 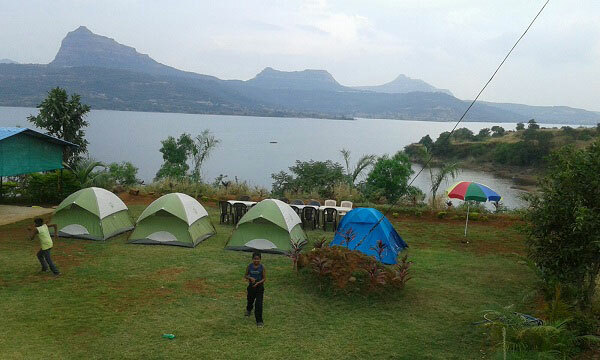 Weekend Camping near pawana dam brings you such a refreshed camp with tent stay, camp fire and unlimited dinner. 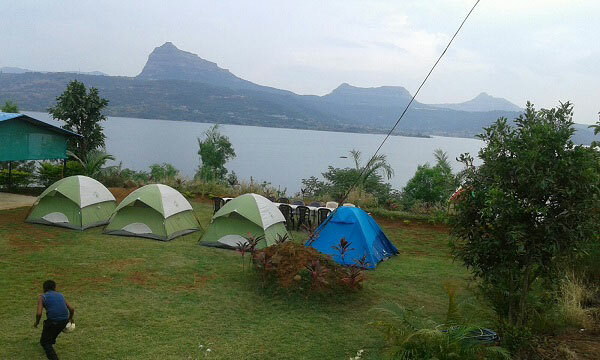 Also good thing is that there are more than 10 tourist attractions like Lohgad fort, Visapur fort, Tikona fort, Tung fort, Hadshi, Prati pandharpur, Bedse caves, Bhaja caves, chinmay vibhooti near pawana dam that you can enjoy. 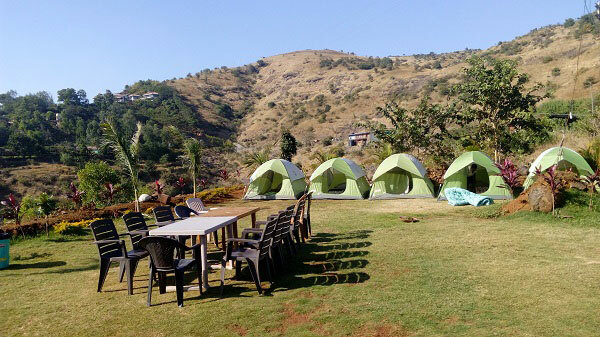 We are having different locations in front of the Pawana dam, where we are arranging Camp with Camp fire and tent stay. 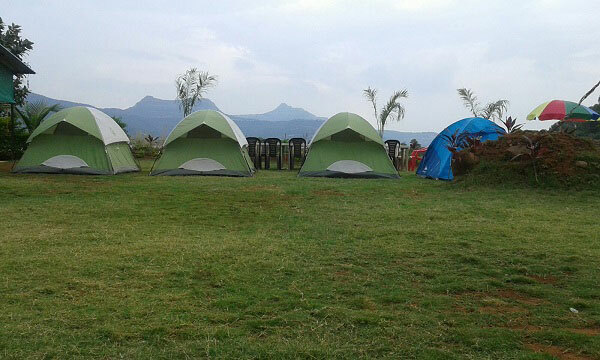 Pawna Camping is having different tent stay packages near Pawna dam. 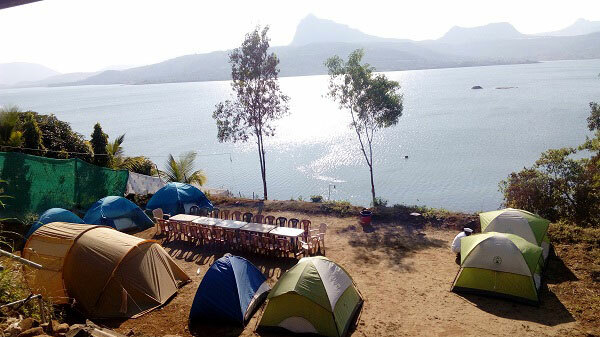 Details of the Pawna Camping packages are as below. 1. Stay Package with food timing is 5 pm to next day 2 pm. Below things are included in package. 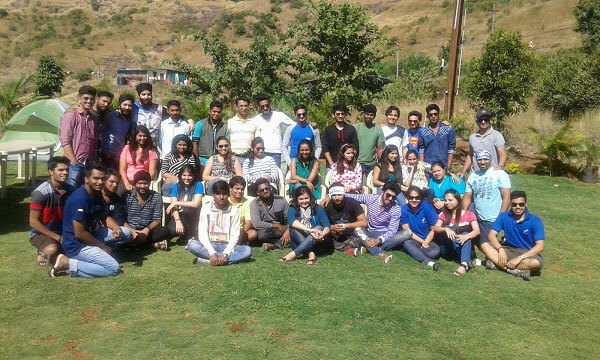 In addition to this you will get boating, horse riding, repelling, and rifle shooting activities at additional cost of Rs. 500/- per person. Also you can go to the trekking points which are less than 5 km from this spot. 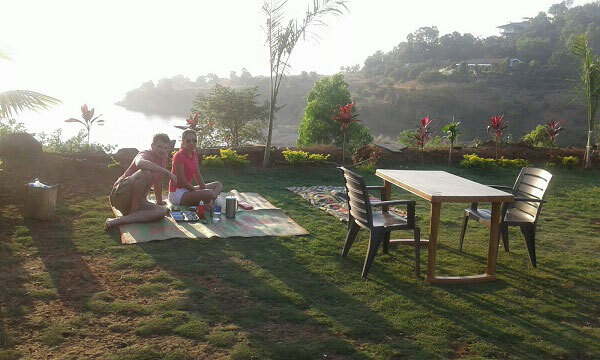 You can enjoy Barbecue ( BBQ ) at additional cost. will be Rs. 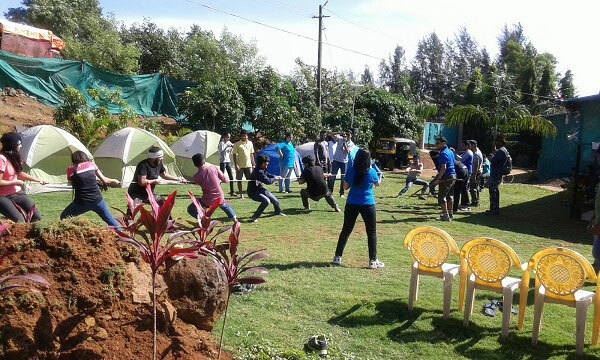 2000/- per person.